My STEP project was to go on a study abroad trip to Hungary, Poland and Austria. Throughout this trip we visited historical sites and reflected on what they meant and how those events they depict affect the World today. This trip made the World seem like a smaller place to me. These faraway lands they talk about in movies are not just made up places to me anymore. For example, I was watching an Indiana Jones movie the other day and during the map scene it showed his plane traveling to Salzburg. If I would have viewed that scene two months ago I would have thought nothing of it, but now I can associate experiences with these places and put people’s faces who I physically met to the place. It made me realize these places exist and we do share the Earth with other people from different backgrounds. If you ask anyone who was on this trip, I went through enough experiences for a lifetime. These experiences have forever changed my life. By going through all the weird, wonderful and downright unexpected situations I have become a more responsible and mature adult. By going through these experiences, I had the opportunity to learn and reflect on things people do not usually get the chance to consider. One night I decided to take some time to myself and go on walk. I made my way to the banks of the Danube River. It was a Sunday so not too many people were out so I got a perfect opportunity to be able to reflect on my travels to that point without any distractions. As I scanned the terrain high and low, I noticed a beautiful scene consisting of the moon rising above Buda Castle. It was a humbling moment for me as I thought of all the other times I have looked up at the Moon throughout my life. All the different places I have been all the different things I was going through in life but one thing remains constant, it is always the same Moon. That moment I realized no matter how different people may be we all have things in common, we all share the planet Earth. This realization brought to my attention that all our decisions influence one another no matter how indirect. We are all connected and we all have a little more in common than you think. There I was, sitting outside of a wine bar in the swanky part of town. Enjoying certain delicacies, I cannot yet enjoy in the States. When off in the distance I heard the soft strum of a guitar and the faint whisper of someone singing. Not thinking anything of it, I went back to engaging in casual conversation with my colleagues. A few seconds past and the music grew louder and the voice became more distinct. Until there they were, the phantom performers, who were just a chime in the wind a mere moment ago were standing there in all their glory proudly belting out their song and playing their instruments. Now this seems innocent enough you may say, just a good ole’ mom and pop street performance to generate some quick revenue. They were in their mid-fifties, had olive-brown skin and seemed a little rough around the edges. If you were from these parts you could have quickly identified them as members of the Roma community. These people get a bad rep around these parts for their affinity for pickpocketing and cursing individuals. This pair did not want to disappoint. At the end of their ballad the male counterpart held out an empty coffee cup which he was utilizing as a “tip” jar. Feeling in the generous mood, I gave him 400 forrentz, which is equivalent to about $1.40 in America but is enough to buy a generous meal there. Having felt like I had fulfilled my role as a gracious audience member I was prepared to go our separate ways. Then in a shocking twist the other member of the band began to approach me speaking some unknown language. Knowing enough Hungarian I was able to decipher that she was telling me she was a “gypsy” and wanted to tell my fortune. Being the superstitious guy I am, I wanted no part in this. As she continued speaking the prophecy took a turn for the worst and after some research I found out that I had been cursed by this once fun loving band. Being in utter disbelief I abandoned all responsibilities and sought asylum inside with the rest of my group. At the door, I turned around to look my hexer in the eye one last time. I was shocked to see that they had disappeared as quickly as they had entered the scene. After this enlightening experience, I learned it is okay to walk away from a situation. One doesn’t have to see how it ends, if you feel uncomfortable get out of their before you get cursed. In Europe, they have a fantastic chain of stores, known as “Spar”. These stores have an impressive juice aisle which contain the same amount of wonderment as one would experience stepping into “Willy Wonka’s Chocolate Factory”. One day my friend and I were feeling especially adventurous and decided to randomly pick out a juice to try, or what we thought was juice. The bottle was long, slender and had an innocent enough looking bear mascot. It was a bright color orange which was somewhat inviting as it reminded us of a warm summer day in Midwest Ohio. We purchased the “juice” and headed outside to enjoy our bounty. Before we cracked the seal and took a swig, we gave the bottle one last look. “SZÖRP”, in all caps was displayed across the bottle. I volunteered to sample the mystery juice first. I was particularly parched and decided this would be the perfect quencher. I threw the bottle back and took a hearty swig. In all my years on this Earth, I have never experienced something quite that heinous. Throughout childhood I had taken many cough syrups and other disturbing liquid medicines but none of them came close to this abomination. Imagine someone made a concoction of maple syrup, tomato soup and pop tart filling. Barely managing to keep it down, I past it to my friend who couldn’t understand my distain for this sinister sauce. He, feeling extra brave, decided to try and one up me by giving it a little chug. Nothing could have prepared us for what happened next. Almost like a knee jerk reaction he began to frantically look for a trash can. Luckily, there was one right beside us and he was able to empty his stomach contents into a trash can rather than the floor. After the initial shock was over, we realized the true gravity of our situation. Sometime between my friend vomiting and myself crying from laughter, one of the largest humans I have seen to this day, who happened to be the security guard, made his way over to us. He quickly realized we did not speak Hungarian and we quickly realized he did not speak English, we were then physically removed from the premises. This fantastic tale taught me to not take things for their face value and always do research before you commit to something. To tie up any loose ends, “SZÖRP” directly translates into, you guessed it, syrup in English. That particular drink was a heavily concentrated fruit syrup which is supposed to be mixed with carbonated water and is supposed to be enough syrup to last for 6 months. All of these lessons will play a critical role throughout my life. By realizing that everyone must share the Earth I can make conscious decisions in my career to better the World as a whole and make it a better place for everyone. By learning when to walk away I can be a better student, peer and overall better person. Finally, by learning to do your research, I can make better decision in my life that will better myself and the people around me. Going into this trip I didn’t know what I was going to get out of it, but it is safe to say I got a lot more than I bargained for. There is not a doubt in my mind that I am a different person after coming back from Europe. I think and act in very different ways. I learned that people are far more similar to one another than they are different. After conversing and interacting directly with so many different people from so many different countries, I discovered that no matter what language you speak, what ethnicity you are, you have a lot in common with the person next to you. No matter where you go on this Earth people are going through the same problems and experiencing the same things. No matter where you go people find the same things enjoyable no matter how different you are, good food, good music, and overall just a good time can always bring a smile to someone’s face no matter where they are from. This realization has sculpted a new way of thinking for me. I now think about how my actions can affect the global community. Everything is now relative to not just Columbus, Ohio or the United States but the entire World. 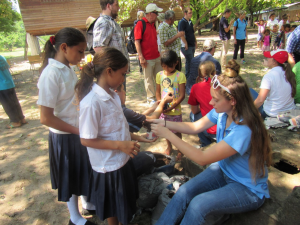 My STEP Signature Project was a community development and service learning study abroad to the country of Honduras. Our group toured local agricultural sites and companies to give us a taste of agriculture in Central America. The bulk of our trip was spent assisting the communities with projects at their homes and schools including digging trenches for pipes and pouring concrete for sidewalks. There is one day on the Study Abroad trip that I believe reflected the country properly and made me realize what the Hondurans truly hold close to their heart. One the first Sunday of the trip, I was able to experience Honduran culture firsthand. First, we attended a Catholic Church service, because around 97% of the country is Catholic! Then, we observed a Mother’s Day Celebration, it is a huge deal to recognize how important the Mother of the family is! We all had a wonderful time and felt so lucky that the Hondurans were willing to share their culture with us. My experience of traveling to Honduras definitely changed me as a person and made me really think about my decisions and how I live my life. I have traveled to other parts of the world in the past and my view of the world has completely changed from this trip because I got to see some of the poorest communities in the world and the struggles that they have to deal with every day. This education abroad opportunity has truly made me a better person and greatly influenced my perspective on my life and the rest of the world. 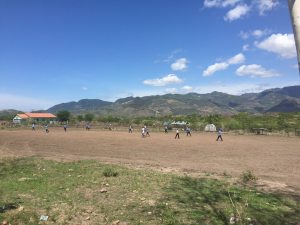 We worked with and visited many different schools and communities, including the very poorest in Honduras. The people we met and had the pleasure of working with are who changed my viewpoint on everything. I heard the many stories of what the Hondurans have been through and experienced, which are things that most people should never have happen in their lives. The entire time I was abroad I could not help thinking how sorry I am for the struggles that these innocent people have to deal with every day and the things that they have to worry about, while I just take all the privileges in my life for granted instead of cherishing the little things in life that matter most, like what the Hondurans do. Through the unforgettable experience that traveling to Honduras has given me, there is one major thing that I realized, the little things in life. I take so many things for granted back home in the United States, and I felt so guilty of everything I have compared to these children in Honduras. However, I soon found out that the little things in life that I tend to be ungrateful for are some of the things that Hondurans are forever changed by. The people of Honduras can have their day made by just one smile, laugh, or moment. Education is one factor that I definitely have had a lack of appreciation for back home as it is not a basis of Honduran life. This showed as the faces of the students lit up when we showed up to teach them how to plant seeds, because they are anxious for attention, where we had the chance to provide. I truly admire the Hondurans ability to take all the little things in life and turn them into special memories from living in the moment and savoring that time. I think this change has made me a better person and encouraged myself to pursue my further dreams of community development here at home in my local town, but also abroad in the places that need it most. I want to travel and help people in need and use my skills and knowledge to influence people to do good in their lives and help others. This greatly relates to my future personal goals and plans because I want to have a career working with my local community in some sort of capacity through agriculture, along with I would like to continue traveling in my future to help the less fortunate all around the world. My STEP Signature Project was participation in Global May Hungary, an education abroad program offered by Ohio State that involved travelling to Budapest, Hungary, with excursions to Warsaw, Poland, and Vienna, Austria, too. The point of this program was to familiarize participants with the culture, history, politics, and geography of Central Europe. Participants attended classes, often with local guest lectures, went on tours and class excursions, and completed a final digital media project. I believe that all international travel that involves immersion into another culture transforms its participants. This was certainly the case for me with Global May Hungary. This was my first time traveling to not just one, but four non-English-speaking countries, which certainly contributed to a transformation of my view of the world. Most notably, I now consciously try to exude patience and understanding when communicating with those who do not speak English here in the States, as I now understand how truly difficult it is. My STEP Signature Project also led to a change in my understanding of myself – I am not nearly as dependent or as much of a “homebody” as I once believed myself to be. This project allowed me to become more in touch with my adventurous side, and I was quite surprised at how well I acclimated to being abroad and at my intense yearning to continue my travels to new parts of the world by the conclusion of this trip. One experience contributing to my transformation of my understanding of myself was my trip to Bratislava, Slovakia. This excursion was not a part of the Global May Hungary agenda – there was a free weekend toward the beginning of the trip, so I thought it might be fun to travel somewhere. Bratislava seemed like a logical and feasible choice, and I ended up playing a big role in coordinating the trip, not just for myself, but for 24 other students in the program. I was able to purchase train tickets, find an available hostel, and more. I am not too used to taking the lead in these kinds of matters, as I am more the type of person to go along with what others want to do. The weekend, however, ended up being incredibly fun, and I am so glad I took the initiative to both suggest and help plan this weekend away. Another event that contributed to a transformation in my understanding of myself – though not quite as fun as taking a weekend trip to Slovakia – was my being sick for a majority of the trip. I was probably as sick as I have ever been before, and it truly sucked. However, it undeniably led to a change in how I see myself. I am much more resilient and outgoing than I once believed myself to be. Despite having a terrible cold and lingering cough for over two weeks, I participated in all there was to do – I rode a boat down the Danube, explored Visegrad, and climbed Gellért Hill to watch the sunrise, all while sick. I didn’t let anything slow me down, and now, looking back, I only remember the experiences, not the illness. More generally, my STEP Signature Project led to transformations in my understanding of myself by providing me with opportunities to break down a lot of internal “barriers.” I tried new things, ate new foods, interacted with new people, all of which contributed to an immense amount of personal growth. There are many reasons as to why the changes and transformations I experienced as a result of my STEP Signature Project are valuable to me. Though I do not yet know what I want in terms of a future career, I do know that a broadened sense and knowledge of the world can be a valuable attribute in any field. More meaningful, however, is the significance that these transformations have on my personal life. Participating in Global May Hungary sparked within me the desire to travel everywhere, to constantly learn about and immerse myself in different cultures. This has, to an extent, allowed me to realize new interests and possible career paths I had not yet considered. 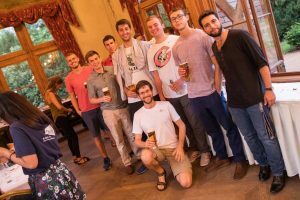 This summer, for 5 weeks, I studied and practiced speaking French, both inside and outside of the classroom in Québec city. I went to class, participated in fun educational activities, and explored the city and what it had to offer. Over these 5 weeks, I became much more culturally aware. This was the first time I had ever been outside of the United States before. I also learned to speak French significantly better than before, and learned to effectively communicate with people who do not speak English. This experience has made me enjoy the French language much more, I now consider speaking French something fun to do, instead of something I just have to do for class. During this trip I made so many friends, including those from OSU, those from Québec, and those from all over the world who also participated in the same program. All of the friends that I made had such a huge positive impact on my experiences, and I consider myself lucky I got to share my experiences with them. After class, each day, there were optional activities that we were able to participate in, most of them being free. These activities included: going to museums, going canoeing, playing soccer, going to a baseball game, wine and cheese tasting, hiking, karaoke night, improvisation, singing, and much more. These activities were to make friends and have fun; but they were mostly there so we could practice speaking French, with other students, in a relaxed setting. Some of the activities that I participated in made my trip unforgettable. I made many friendships with people from all over the world, but the friends I became the closest with were the ones that came from OSU, because we spent so much time together. I felt consistently encouraged to go outside my comfort zone, and that feeling is what helped push me to have the best experience I possibly could. The way that the program has transformed me is something that I can use in my future. Speaking French better is personal goal of mine; but also something I require for my future academic goals. I currently plan on applying for OSU’s graduate program for French Education, and being able to speak French well is absolutely a requirement for that. The French I learned on this trip also allows me to do better in the French classes I am currently taking. Not only will my improved French be beneficial to me in my future, but also the friendships I made and my better cultural awareness. Those are things that help in every moment of everyday life, and so I am so happy that I have them. For my STEP Signature Project I studied abroad at Charles University located in Prague. I enrolled in an economics course focusing on the European Union and Asia at Charles University. Along with my coursework, I traveled throughout Prague, the Czech Republic and Europe for my STEP Signature Project. During my STEP Signature Project, my assumptions and view of the world changed dramatically. Before my STEP Signature Project, I had never left the United States. Because of this, I did not know what to expect from the world that was previously unknown to me. I believe it is human nature to fear what is unknown or different. Because the rest of the world was unknown to me, I assumed that it would be very different. The largest thing I took away from my project was that we humans are very similar in nature. Regardless of the color of our skin, the language we speak, or the god we worship, we are not so different from one another. Over the course of my STEP Signature Project, there were countless events, interactions, relationships and activities which led to my view of the world changing towards a more inclusive stance. Throughout my travels, the relationships I formed with two people changed my view of the world greater than anything else and made me realize that each person is similar to one another. At the time, I did not think these relationships had a great effect on me. Now that I am reflecting on my travels, I am noting the differences in thought which I know believe to be true. The first of the two relationships that I formed in Prague which changed my view on the world was with my American roommate, funny enough. My roommate’s name was Muhammad. Although Muhammad was American like me, he was not like me, at least on the surface. Muhammad had brown skin and a thick beard. He grew up in California but was born in Pakistan. Muhammad practiced a different religion than myself and at home, spoke a different language. I never knew anyone like Muhammad nor had I lived with anyone like him. At first his differences to myself stuck out but we became good friends very quickly and I did not notice them for the remainder of our education abroad. Over our month in Prague, Muhammad and I travelled throughout the Czech Republic and Europe. Because of his appearance, Muhammad had a far worse experience in airports and train stations than myself. After noting this, I asked Muhammad if the racial profiling bothered him. Muhammad’s answer surprised me and was one of the lasting reasons for why my view on the world and people changed. Muhammad believed that people were just doing their job. He said that he knew he was the same as everyone else, and despite others not differing their judgements of him, he gave it no thought because he could place himself in their shoes. Muhammad’s ability to remain calm, defer his judgments, and confidently act out what he truly believed made me take a pause and think about how we are all truly similar. My second relationship formed in Prague that helped change my view of the world was with my economics professor, Ondrej. Ondrej grew up in Prague and was Czech Republic through and through. Having spent nearly every day in class with Ondrej, and eventually time outside of class with him, I began to see similarities with him and his people in everyday life. Whether it was Ondrej’s unique style, to his hatred of grading papers in his non airconditioned classroom, to his hobbies in his spare time, Ondrej seemed familiar enough to be one of my past professors at Ohio State. 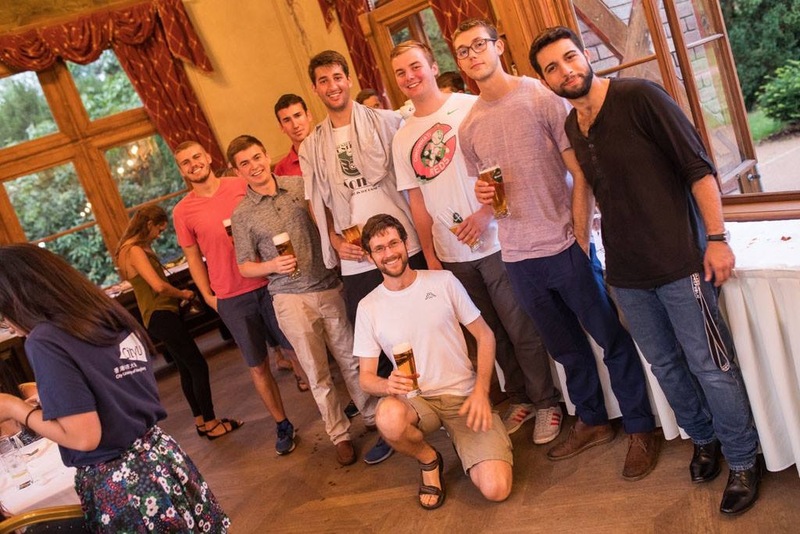 After classes, Ondrej occasionally offered to get dinner and a beer with our small class. During these trips, Ondrej took us to local neighborhoods of Prague where he explained the culture and motivations for people’s actions in Prague. Aside from the language barrier, Ondrej, the people I saw and places I went were identical to the people i’d known my entire life. My change in perspective of the people of the world is valuable to me because I still have not seen much of the world but now I hope to. After noting the similarities in culture and people, there is no more fear of the unknown in the world. By noting the similarities, differences in culture were highlighted, thus improving my travel experience. My future personal goal is to travel more because of my STEP experience. To aid me in this, I have altered my professional goals and added a Spanish minor at Ohio State in hopes of it helping me on my path. Dance Denmark was a five and a half week long performance, teaching and cultural exchange program that was committed to utilizing dance as a creative movement practice with many forms of expression. 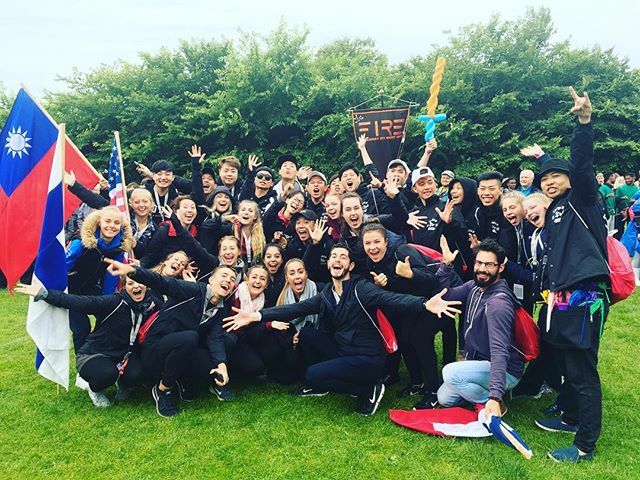 Partnering with Gerlev Sports Academy provided the rare opportunity to experience Denmark through the lens of a Danish student progressing from the pressures of high school towards a world of jobs and universities. While biking the cities of Copenhagen, Aalborg, and Slagelse acquainted me with the country’s quality of life, Ann Sofie Clemmensen’s (visiting assistant professor/resident director) deep-rooted dance connections opened the door to form intercultural bonds that will continue to be preserved and developed in years to come. 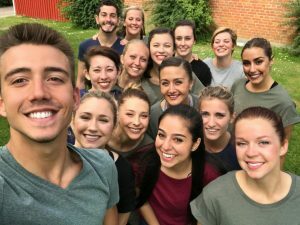 Before traveling to Denmark, I aimed to attain a singleness of purpose, which revolved around dance. I believed that mastery of an art form was almost never the result of mere talent. It was, rather, the blending of a passion with a certain quality of sustained and intensive effort. Therefore, I was convinced that all of my training needed to consciously support the study of dance performance/composition in order to reach my end goal. Unfortunately, I’ve realized that this process of unification caused me to miss out on many rich learning opportunities. Movement is big. It is bigger than any specific movement discipline and it contains within it huge ‘worlds,’ like the world of somatics, dance, martial arts, calisthenics, circus, sports and more. The information that is often isolated in these segregated practices can be extremely useful to achieve versatility and target atrophy. Specializing is great, but beyond my specialty I am human first, a mover second, and only then a dancer/choreographer. It is immensely important to note that I no longer have a fixed training regime, or restrict myself to any kind of movement. Instead, I desire to create a dialogue and experience a cross disciplinary exchange of information between various types of movers. 3. What events, interactions, relationships, or activities during your STEP Signature Project led to the change/transformation, and how did those affect you? 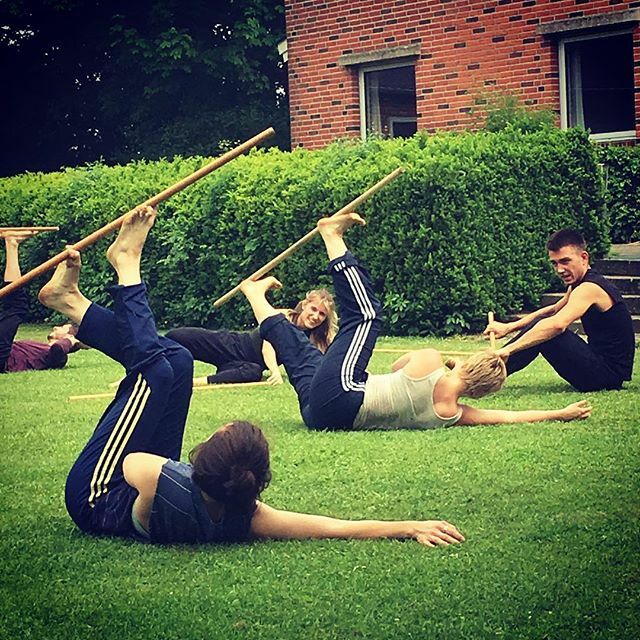 As I mentioned in my STEP Signature Project Proposal, the sport of gymnastics is highly valued in Danish culture. However, after watching gymnastic teams from various Danish Folk High Schools and the renowned National Danish Performance Team, I noted a stark contrast between the objective of Danish gymnastics and the competitive gymnastics that I had previously trained in. The ultimate vision of a Danish gymnast is not the Olympics. Their training does not consist of a syllabus with multiple events and levels because there is no competition, scoring system, or coveted gold medal. Furthermore, the gymnasts are not distinguished based on their skill level, which eliminates any personal agenda. Instead, the sport is truly a way of life and part of a democratic and edifying development. The gymnasts function collectively as a group of ambassadors, performing in shows and teaching community workshops to promote a healthy, active lifestyle. 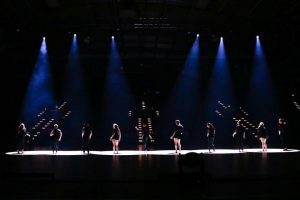 Their performances included a mixture of technically advanced tumbling and what could be perceived as “dance.” Although, like competitive gymnastics, it is still lacking in artistry. Despite the differences between the two versions of the sport, I was still able to connect on a mental, physical, and emotional level. There were gymnastics facilities in every school that we visited, which continually provided the option for me to reclaim my background as an elite gymnast. All of the nostalgia that I had been suppressing for the past six years came rushing back, but this time I embraced it. I decided to confront the thought of “what if I hadn’t quit” that came with returning to my roots. Yet, any feeling of regret quickly diminished because of the supportive community that surrounded me. There were no external pressures or internal expectations. I finally had the chance to simply enjoy the raw power and physicality of the sport. 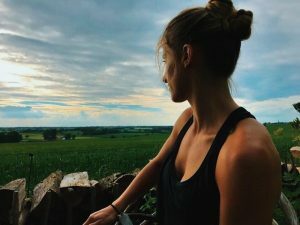 As I reveled being back in my element, I realized that the training and skills were not something that I had to leave behind once I left Denmark. Gymnastics is, and always will be a part of me. Just because I’ve changed the direction of my path does not mean that I have to completely convert from my inclinations as a gymnast. Instead, I want to train in both disciplines until I am able to find a way to integrate them harmoniously, without one overpowering the other. During my time at Gerlev Sports Academy (Slagelse, Denmark), I was able to continue the diversity of my training. Although the school was only required to host us as guests, they cordially invited us to engage in their non-formal education. Among the many majors and minors that were offered— dance, parkour, beach volleyball, windsurfing, yoga and martial arts— I chose to participate in Natural Movement. Natural Movement was a minor subject that focused on trying to seek and reconnect with human nature as it relates to movement. According to the philosophy there are three fundamental human movement elements; manipulation, locomotion, and combating. The exploration and cross training of these domains formed the basis of the course as we exposed ourselves to different outdoor environments and various movement disciplines. Throughout the three weeks, I was introduced to concepts inspired by judo, mobility training, catching/throwing, improvisation, hand balancing, gymnastics, and low gate locomotion. As we approached this intense method of training with a sense of play and curiosity, we brought simplicity back into complex movement patterns. We also had the chance to witness the body’s full potential in practice and theory. Reverting back to my inherent movement patterns made me realize how neglected functional activity is in our modern society and the cosmetic-driven fitness culture that comes with it. The truth is, no amount of exercise will undo the pathology that is sitting and remaining sedentary. I have learned to move for movement’s sake. Not only did I experience pure gratification, but I also gained real skill development that can be applied to my dance training. I am now a third-year in The Ohio State University Department of Dance, which means my entrance into the professional dance world is quickly approaching. At this time next year I will begin auditioning, but it is impossible to determine for who or for what. Although I would like to picture myself in a certain dance company with a certain salary in a certain location, that is not realistic. My past explorations and endeavors have taught me that nothing is that straightforward, nor should it be. Dance is a multidimensional, multidisciplinary, and all-inclusive field, and I refuse to close myself off to a world of possibilities with tunnel vision. Instead, I want to make myself available and adaptable to every opportunity, whether it is at home or abroad. Yes, the job market is competitive and shows no mercy or favoritism, but what better way to prepare myself than to train in a variety of disciplines. There is the derogatory saying “Jack of all trades, master of none.” While this may be true for some people, I deliberately avoid falling into this category by fully engaging in the present moment, whatever it may be. In this conscious state of mind, I am able to find connections between the different movement disciplines. From there, I can integrate them using dance performance/composition as a medium for innovation. My STEP signature project was a 6-week study abroad trip over the summer in Seoul, South Korea. During my time abroad, I took 2 classes at Korea University that would transfer over to Ohio State to satisfy a General Education class and my minor in Political Science. 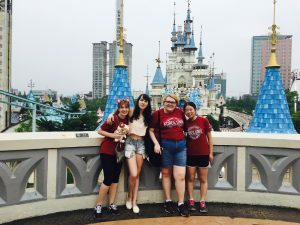 Besides taking classes, I also participated in excursions planned by ISA (my third-party study abroad program) and Korea University to places such as the KBS Music bank, Lotte World Amusement Park, and Busan. 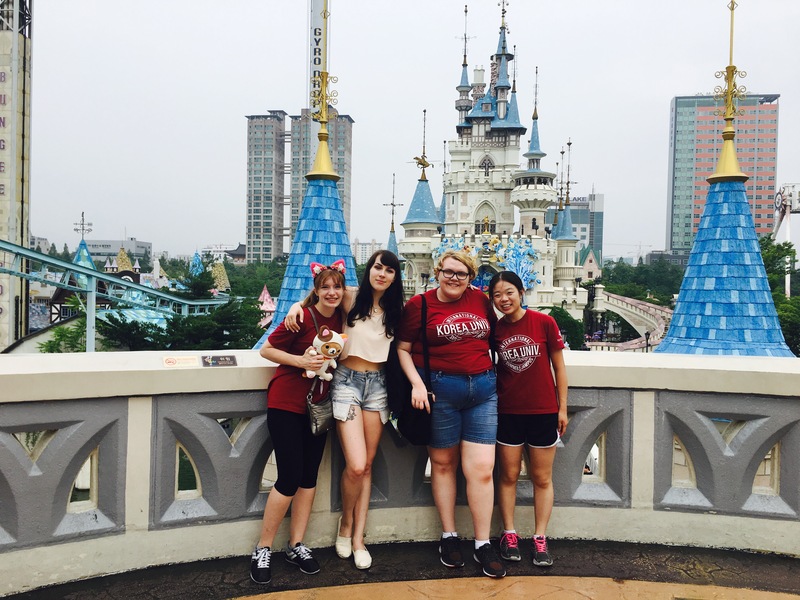 The objective to these excursions was to understand and interact with modern Korean culture and then compare and contrast with ancient Korean beliefs and practices. During my trip abroad, I found that I have grown up a lot and my view of the world has definitely matured. Before, I would see going out to eat a meal as a waste of money because I was raised on the concept of saving every penny I earned. So, it could be said that I saw material goods as more important than quality time prior to my trip. As a result, I would often reject offers from friends to do anything that require spending money. Because of this misguided belief, I failed to see the beauty of creating wonderful memories that sometimes can be created by spending money. This study abroad also cleared up past misconceptions I had about Korea and its history in relation to the US and the rest of the world. I now have a better understanding of North Korea and South Korea. The dorm that I stayed in didn’t have a kitchen so I was forced to eat out for every meal. I was annoyed that I couldn’t cook my own meal because I had only budgeted my food based on food that I would cook. However, I quickly find that eating out every time has its perks because I was able to try different food with friends. It hit me then that what was the point of studying abroad if I only eat food that I can cook. So, through eating Korean BBQ and picking through street food vendors, I was able to savor different types of Korean food while making lasting memories with my newly-made friends. Even more shockingly, I went along with a plan to rent an enormous duck floaty during atrip with my friends to Jeju Island, which cost $20.00 just to rent it for about 1 hour. The fact that I agreed to go on the trip for only a day for $250 would have been a shock to my old self. But, I would definitely agree to go on the trip if I was given the choice again because I truly appreciated the fun I had with my friends. Moreover, I was glad to see the other side of South Korea that I would have never seen if I had only stayed in Seoul. In Jeju, I saw farmlands and wonderful scenic spots such as the Hyeopjae beach and Cheonjiyeon waterfall that contrasted greatly to the glitzy urban scene of Seoul. My trip to Seoul also tested my independence. I have never travelled so far on my own without anyone I know. I can proudly say that I am a very independent person compared to someone my age in terms of making sure my school account is right or securing the necessary documentations for an application. But, I am someone who needs supportive people and affirmations for me to power ahead. I was really nervous on the day when I flew from China to Korea for my study abroad as I say good-bye to my grandparents. Although I put on brave face on, I was really worried about getting lost because of the language barrier or if I can’t make any friends. The language barrier was an issue in Korea but I was glad that menus and signs are often translated into English. I was also glad that I was able to make wonderful friends because I was really worried about being lonely during my trip since I didn’t know anyone. During my trip, I have truly transformed astonishingly to become a stronger and more confident person. To me now, I am more willing to spend money on a good experience than shopping. This transformation will personally make me a happier person and a better friend for my friends. In fact, I am already planning a family winter trip because I realized the short amount of time I will have with my family as my sister graduates and we all move to different areas. In terms of career, my confidence is making me think outside the box and challenge me to really consider medical school. Prior to my trip, I was hesitant because of the time commitment and uncertainty, but I am now willing to give it a try. This summer I was in Barcelona, Spain for six weeks taking two Spanish themed courses at a local University. I attended Universitat Pompeu Fabra and there I took courses about Images in Spain (a Spanish film class) and the Vanguards in the Silver Age of Spain. However, my experience was not only about the classes. I had the opportunity to reside in a homestay with a local Spanish woman and her daughter. I ate with them, spent time with them, and asked questions. 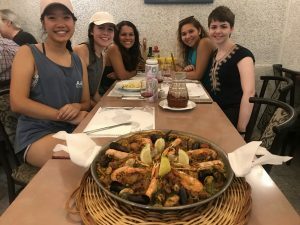 This aspect of my study abroad was probably the most impactful because I had a direct connection to Spanish culture. I also was able to go on multiple weekend trips of other parts of Spain as well as other countries such as France and Italy. During my time abroad in Barcelona, I experienced several different types of transformations. The first change in myself that I noticed was a higher degree of independence. This was the first time in my life I was truly alone for such an extended period of time. I did not have my family only 2 hours away as I usually do, I did not previously know any of the students in the program, and I was in a completely different time zone that restricted my contact with friends back home. This forced me to leave a comfort zone that I have spent years building. At first, it definitely made me uneasy and a bit anxious but once I got accustomed to more independence I was able to successfully transition into life in a big city. I also noticed a transformation in my interaction with people from different cultures. Coming from the midwest, I noticed that the stereotypes of midwestern people being generally warm is for the most part true, at least from my experience. It was a transition getting used to people who did not smile at you in the streets or say hi when you passed them. Everybody avoided eye contact, and it was deemed disrespectful which I had never experienced before. I am the type of person who likes to greet people with a smile, a nod or a simple hello, but I found that I had to morph my typical daily behaviors here in the United States to better match the culture I was living in. Neither one was better or worse, it was simply something that took getting accustomed to. Most of all, my transformation occurred in the form of my language development. Prior to coming to Barcelona, I already spoke a great deal of Spanish. I grew up listening my parents speak but given that I was raised in English speaking schools, I was never in an environment where I could practice my Spanish skills in a natural setting. Barcelona gave me the opportunity to speak in Spanish literally 24/7. The most simple settings, like buying my metro card or getting lunch at school, allowed me use Spanish in ways I would never get the chance to here in the United States. 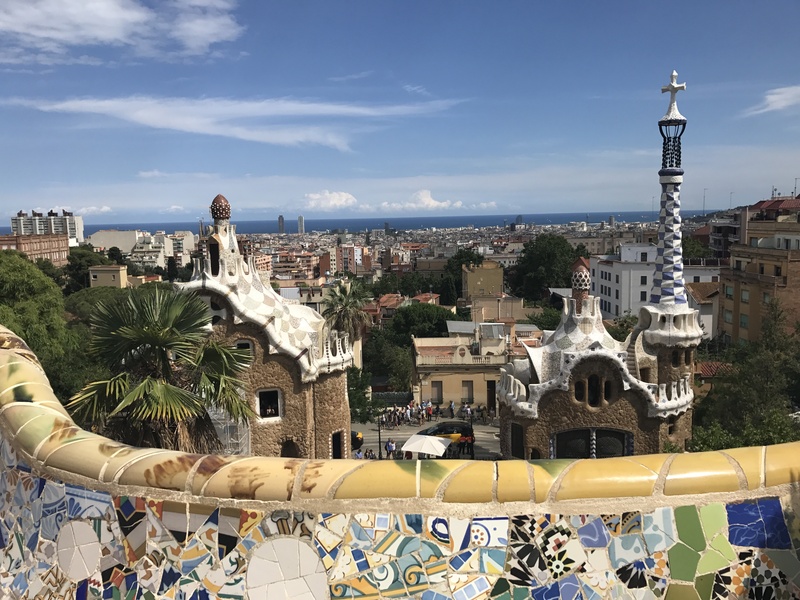 I was able to see a huge development in my Spanish during my time abroad and although I know there is no replicating Barcelona and its culture, I hope that I can continue to develop my language skills here at home for the next time I travel abroad. Some of the key events that took place during my study abroad experience were weekend excursions that allowed me to discover areas around Barcelona and take advantage of the proximity of Europe. I had the opportunity to travel to three countries, Spain, Italy, and France, and discover numerous cities in each. 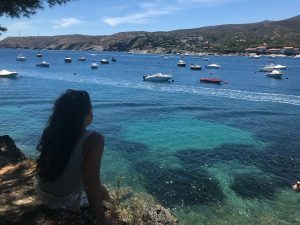 I did the most travel in Spain, where I got to discover the south of Spain, an area called Andalusia, the northern coast called Costa Brava and prominent areas in the countryside where much of their agriculture takes place. This traveling within Spain allowed me to get a taste of Spanish culture from all over the country, not just the northern big city of Barcelona. Traveling around a country that only spoke Spanish was incredible because I got to experience people with different accents, dialects, and traditions. I learned that in Andalusia the people speak drastically different from those in Barcelona. The culture in the south of Spain had tons of influence from the Moorish kings of the past, a prime example would be the Mosque of Cordoba. This mosque is a beautiful landmark with influential architecture that was unbelievable impressive for the time period, however when the Spanish kings (Ferdinand and Isabella) conquered the Moors they converted it into a church. Instead of tearing down the existing mosque, they were able to appreciate the architectural beauty and decided to keep the now world renowned arches and detailing in tact. Getting to see such a drastic difference from the North and South of Spain was a huge step in my cultural understanding of the country and the development of my Spanish language. My level of independence was tested with my travels to France and Italy, while my grasp of the Spanish language is advanced, my French and Italian were not so developed. It was a trying experience to navigate a country where I spoke barely any of the language. I had to figure out how to use the public transportation system, how to order food, where to lodge, etc. My American identity felt much for present in these countries because I had to hope that someone either spoke English or Spanish, otherwise it could take me twice as long to complete a simple task, like asking for directions. But luckily, the people were understanding and wanted to share their culture with a foreigner, so I found it to be a positive experience even though I happened to be very lost in the language. My language and independence development will be crucial to my future plans and professional goals because I want to one day work internationally and to do so I need strong language skills and the ability to leave home and function independently in a country where I may know no one. My Spanish level has developed from a very structured environment, like a classroom, to a most natural setting where it can be used conversationally, professionally, or very casually (with slang and dialectal differences). Having Spanish as a language asset will be so important in the future because it is the fastest growing language in the United States and almost all Latin American countries speak Spanish, with the exception of Brazil. It is my goal to work for and hopefully eventually run a nonprofit agency in a Spanish speaking country to provide adequate shelter, clothing, healthcare, education, etc. I have no doubt that the language skills I developed in Barcelona this summer will help me greatly in my future endeavors. The independence that I gained will also be crucial in my future development because I now I know how to navigate new and unfamiliar places with a sense of confidence and ability. For my STEP Signature Project, I studied abroad in Suzhou, China for 7 weeks. While studying the Chinese language at Suzhou University, I was able to complete 6 credits (2 semesters worth of classes) at Ohio State needed to complete the Chinese major. Going into China, I thought I knew what to expect. I thought I would be able to immerse without obstacles. I had never been more wrong. The first two weeks of classes for this intensive language program combined with the culture shock weighed heavy on me. 4 hours of classes a day, all 4 hours spoken in Mandarin Chinese, followed by 3-5 hours of homework plus various research projects was not my original perception of an ideal study abroad program. However, through the adversity faced early on, I learned a lot about myself that is only beneficial for my development moving forward. I learned that I can be tested, in different respects, to a far greater extent than I had previously imagined. For instance, my arrival flight was supposed to land in Shanghai, just in time to catch the charter bus for the 2 hour trip to Suzhou. However, due to inclement weather, the plane had to be rerouted to Beijing and I was already faced with my first obstacle. Within the 24 hours to follow, I had to use my limited, at the time, Chinese speaking capabilities, communicating with the hotel concierge desk, taxi drivers, and railway station employees, to get myself to Suzhou. However, after a couple of weeks, I started to adapt, adjusting to the Chinese culture. Looking back on my time in China, compared to America, it was as different of a culture as I could have imagined. It is hard to pinpoint a specific, overarching difference within daily life between the two cultures; however, there are many aspects within the culture that caught my attention. The mail delivery system was suspect looking, the produce sellers on the streets were very abundant, the myriad of family owned restaurant/apartment complexes were always amazing, yet different experiences, the traffic/road system was incredibly hectic, etc. etc. All these aspects very different from that of America. On top of all of those cultural aspects, a lot of Chinese people would take pictures of my classmates and me, and ask to be in pictures with us. It was a very eye-opening experience being treated as a local celebrity. Through the people I met, my view of the world and its differing cultures and people changed. I originally imagined China to be a lot more similar to America in terms of every-day life. For instance, not many people drive cars, as obtaining a license plate, something Americans often take for granted, is very difficult in China. However, through this program, my view on diversity and way of life has changed. While studying, we, Ohio State students, were paired with students from a university in Northern China to guide us during our studies. 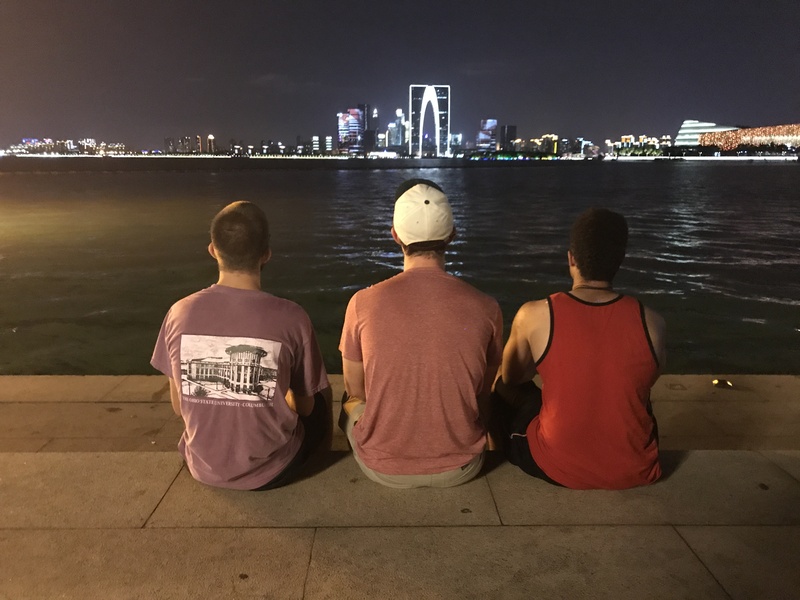 Through my conversations with my two language partners, Liu Xin and Li Siyou, and the experiences we had exploring a city, Suzhou, both foreign to us, I was able to gain insight into how different yet, at the same time, similar our lives are. It is not that I have become more knowledgeable about the diversity of people around the world; rather, I have become more open-minded about the varying societal structures. Although many day to day aspects of Chinese society, transportation, etiquette, etc, are very different to that of which I am accustomed to, the particular society fits the culture of the people. Through my first-hand experience of living within a different culture and furthering my understanding of diversity and the many facets it plays a role in within a particular society, especially one foreign to me, is very important to my career moving forward. Due to the fact that I am a double major in finance and Chinese, my goal is to one day be able to represent a company on the international scale. In order to successfully and smoothly work abroad, I have to be knowledgeable about many various cultural aspects, regarding both everyday life (i.e. transportation) and professional life (i.e. proper business etiquette). 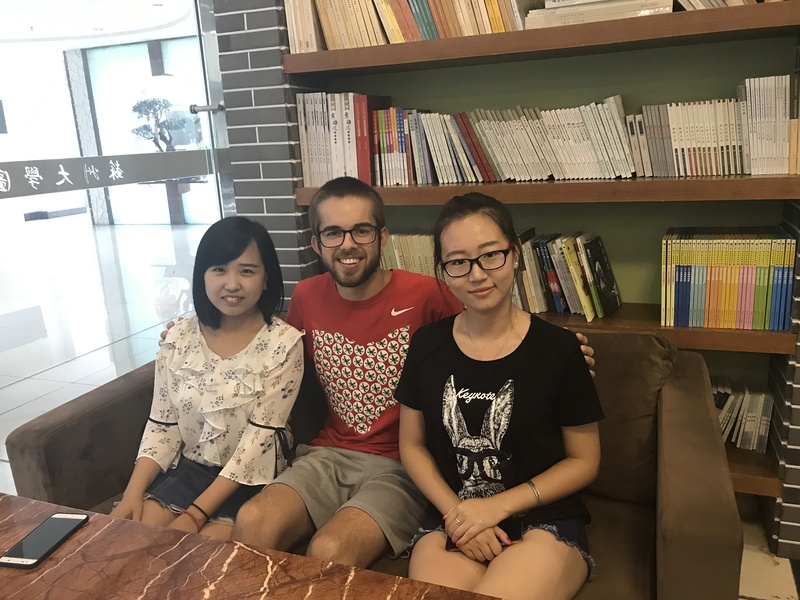 Through this program, I was not only able to complete my tangible goal of obtaining the credits for the courses, and improving my Chinese abilities, but I was also able to open my eyes and learn to accept and adjust to the cultural differences. 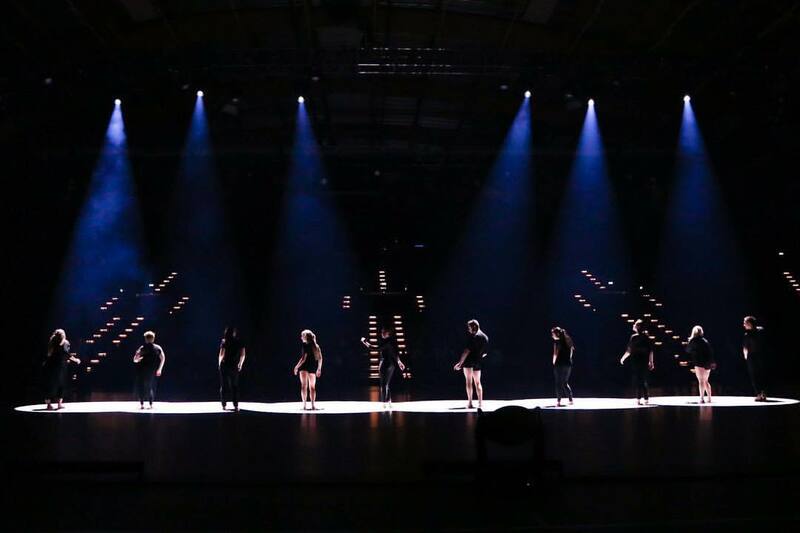 This experience has truly been life changing, it was more than just an experience, and it is in part thanks to STEP. 1. For my STEP Project, I studied abroad at Stellenbosch University in South Africa for one month. Afterwards, I volunteered for a month at a community center in Port Elizabeth, South Africa. 2. I feel changed by my study abroad experience as clique as that sounds. The experience exposed me to a host of important societal debates about the definition of progress, equality, and individual value. For example, when learning about the history of South Africa since the end of apartheid, I was exposed to the concepts of economic freedom vs. political freedom. I saw how the two are often linked in people’s minds, but they are not linked in policy strategies. I learned how perception can influence an outcome more so than ability. I learned to disconnect the merit of one’s contribution from the merit of their intentions. I witnessed how some people value reconciliation and some value progress. I saw how luxuries make life easier but not more fulfilling. These realizations had a large influence on my way of thinking, and I feel more intellectually mature because of this experience. Additionally, my view of the world has changed because I saw the inherent similarities between cultures and people from different parts of the world. Not that I didn’t know this before, but it always surprised me at the end of the day that people acted predictably based on their environment. My view of the world changed because I learned a lot about poverty and inequality while spending my time in a normal campus environment similar to the US. My friends and I would go out to eat and individually spend in one meal the same amount that some people would make in a week. This was hard for me to reconcile at the beginning. I had never been directly exposed to this extent of poverty. South Africa, due to its history and role as an African leader, was, in all, a very unique place to study. 3. First off, the classes I took most contributed to the transformation in my mind set. In particular, the first class I took on the Political History of South Africa was powerful because of the other South African students in that class. The students provided moving accounts of the lingering effects of apartheid today. They described how their family members were killed, or their houses destroyed. Hearing these kinds of stories first hand is something I will never forget. We have many of the same debates about inequality, race, police brutality, and controversial monuments in the US, but we are handling the enduring mindset of history that is 150 years ago compared to in South Africa where it was 23 years ago. And in South Africa, some of the perpetrators are still teaching classes at Stellenbosch University today. The social debates are more poignant, the policy issues are greater and the political climate is worse than compared to the US. I learned so much just from hearing about the current events and being a part of the social tension that exists in South Africa today. In addition, the class I took on China in Africa was extremely interesting. When we visited the Chinese consulate in Cape Town, I saw how individuals, especially on the political stage, make decisions which they genuinely believe to be beneficial while ignoring the potential negative consequences. I thought it was fascinating to see this kind of cognitive dissonance. Besides the classes and the South African students I interacted with, I learned a lot from the other international students. About 2/3 of the international students were from the US, but we all were from different parts of the country and it was fun to hear their diverse backgrounds. Plus, we had some great discussions comparing political debates in the US to South Africa. Another aspect of the trip from which I learned a lot were the excursions we took around Stellenbosch and Cape Town. On our last week, we went on a sight-seeing trip along the southern coast of the country and we saw lions, elephants, giraffes, zebra, rhino, hippo, water buffalo, ostrich, penguins and baboons. I loved the natural beauty of the country—climbing Table Mountain and Lion’s Head had some unforgettable views. But all of this beauty and diverse wildlife was contrasted with the poverty which we saw along the way. In Stellenbosch, we lived in the college dorms on campus and we were shielded from the need around us. It was like being on any college campus in the US. But on the days when we toured around, we saw the townships and the slum communities. We saw long people lived in shacks which were the same size as the 12-seater van we were driving in. The area was littered with trash, yet almost every single house had a satellite dish connected to it. It was hard for me to understand this mindset, and the priorities of these poor people. Yet, after volunteering in a township for a month, I understand how this can be rational to them. The visible inequality in South Africa affected me because from my classes I knew it was due to the policies of apartheid. It was hard to see a bright future for a country with these stark problems. All of this I experienced just from looking out the window. 4.What I saw and learned while in South African has had a significant impact on my life because I want to be a development economist. Having a better understanding of the issues a unique country like South Africa struggles with will directly help me in my career with creating research questions. Just looking at decision making of people who live in slum communities who have a satellite dish mounted on a house made of metal sheets and cardboard would be fascinating. Also, seeing the role of the government in trying to equalize and reconcile a country which just marginalized 90% of the population a generation ago was quite informative for me in understanding policy implementation in economics. This experience furthered my interest in doing research in developing countries and my desire to find ways for these communities to build themselves up. This experience was invaluable to me professionally. The classes I took were also valuable to me because, more than just applying towards my major, they exposed me to topics I know I never would have learned about in such depth in the United States. Additionally, being with South African students in a class about apartheid when their families had directly experienced its effects was eye-opening. Also, learning about China’s role in Africa from a South African perspective was unique. Then, understanding the perspectives of the Chinese students who told us what they hear on the news about projects in Africa was very informative. This experience, without question, diversified my education. Outside of the classroom, I believe I became more intellectually mature in understanding sensitive issue of race and poverty. I met a lot of great friends there and I feel more emotionally whole and grateful for the opportunities I have been given in the US because when compared to other people I interacted with, this type of economic liberty is rare.